The interviewer has met the narrator twice before, once for coffee and preliminary questions from the interviewer and a second time to address pre-interview question from the narrator. The interview begins with a description of Montgomery’s childhood on a farm in Bamberg, SC in the 1980s. He describes his family, including his wife and three children. He speaks of his early education, moving away from home, and his experiences joining the U.S. Army in his early twenties. He details basic training, and his pride that he felt upon graduation. He describes his role as a member of Eleven Bravo and the First Ranger Battalion. Montgomery was deployed five different times, each with a different mission and location. He speaks of the transition between military life and civilian life, and how he handled losing his best friend in a raid overseas. He then describes how he retired due to a back injury, and his decision to come back to school. Montgomery once witnessed a car crash just outside of USC Aiken and was in fact the last person to speak with the victim after he tried to save the man. Montgomery speaks of how this experience influenced him to choose USC Aiken. 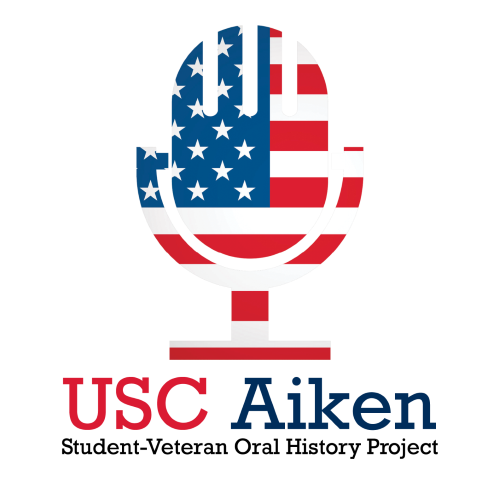 He then speaks of his experiences in the classroom, with the Veterans Success Center at USC Aiken, and his plans for the coming future.